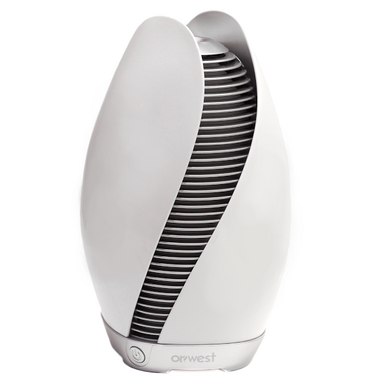 The Fleur diffuser works using ultrasonic technology to break up water and essential oils or aroma blends into extremely fine micro-particles, diffusing aroma into the air as mist without heat. The Fleur Ultrasonic Diffuser can help improve both physical and physiological well-being in any interior and help purify, sterilize, and deodorize the air. Create a soothing atmosphere by bringing the power of 100% natural essential oils into your home.